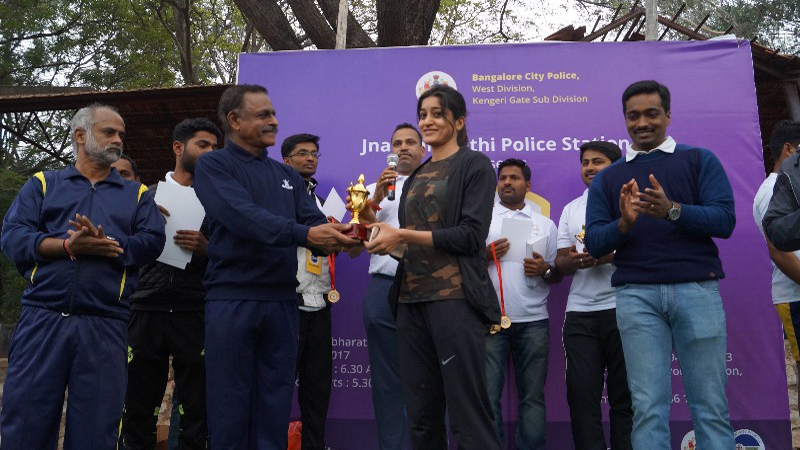 Community policing (CP) is an initiative of Bengaluru city police in partnership with Janaagraha. 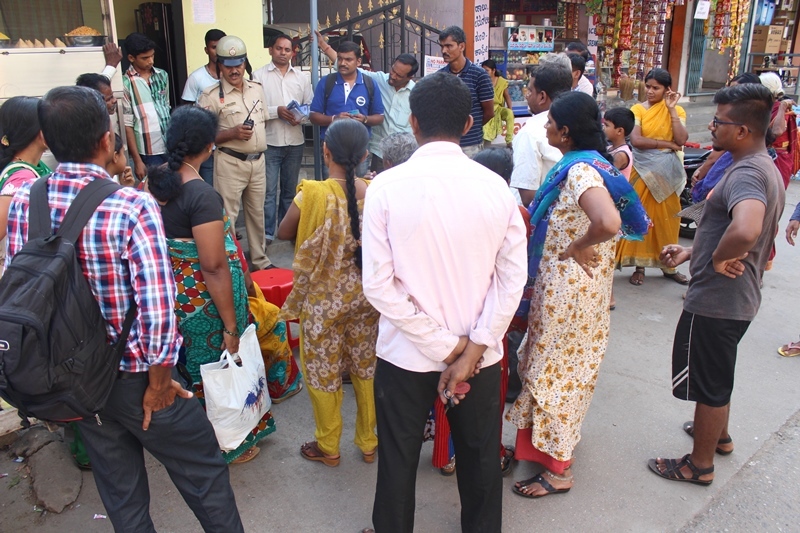 The objective of the program is to address neighbourhood safety and security concerns through responsible participation of the citizenry in crime prevention, at the level of the local community. Here both police and citizens work in partnership to ensure a safer and secure neighbourhood. 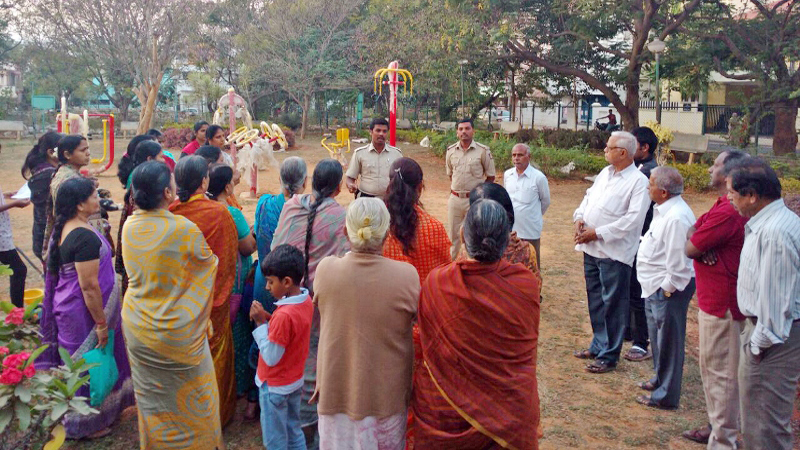 Community Policing focuses on community engagement to address issues of crime and social disorder through the delivery of police services, which include aspects of traditional law enforcement, prevention and solving the safety and security challenges. 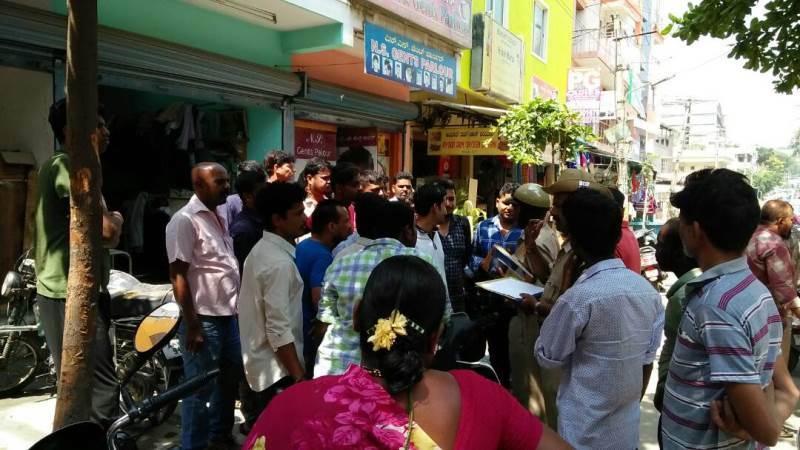 It is an approach, wherein community support and interaction helps prevent & control crime and citizens have a say in identifying and solving neighborhood safety and security concerns. 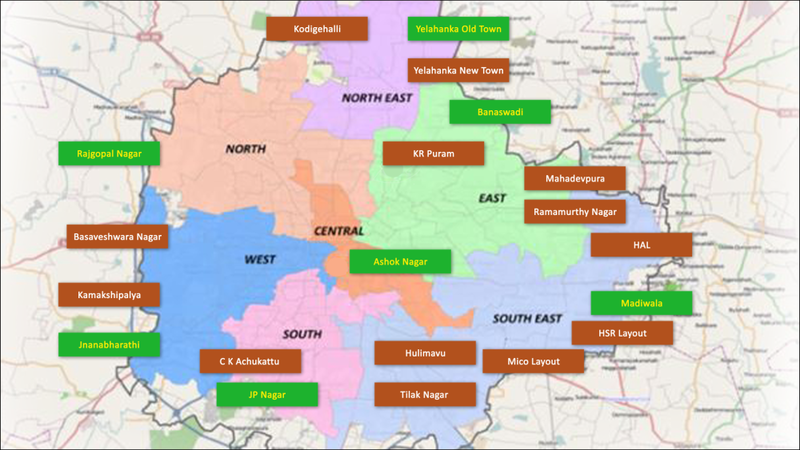 CP accomplishes this through harnessing participation from active citizen volunteers, also called as Area Suraksha Mitras (ASMs). 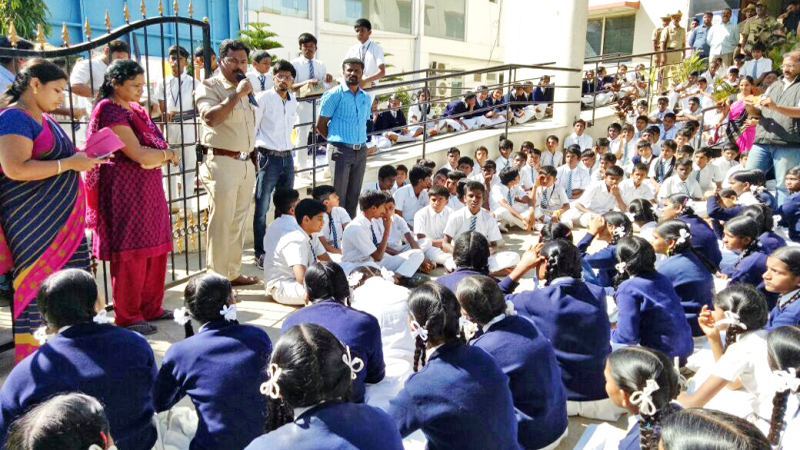 The idea of a Community Policing initiative in Bengaluru, had its genesis following two prominent incidents. 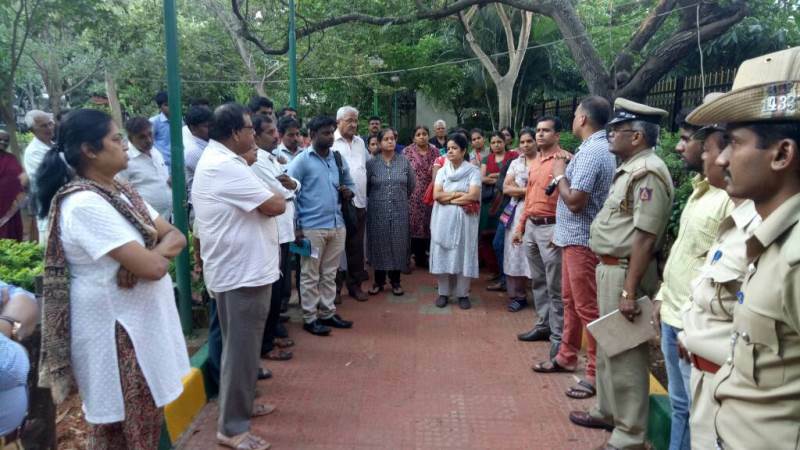 The first was a tragic terror attack at the Bengaluru campus of the prestigious Indian Institute of Science in 2008 and the second was an incident in the early nineties where a group of LTTE militants had been living, undetected, among the community for many months. 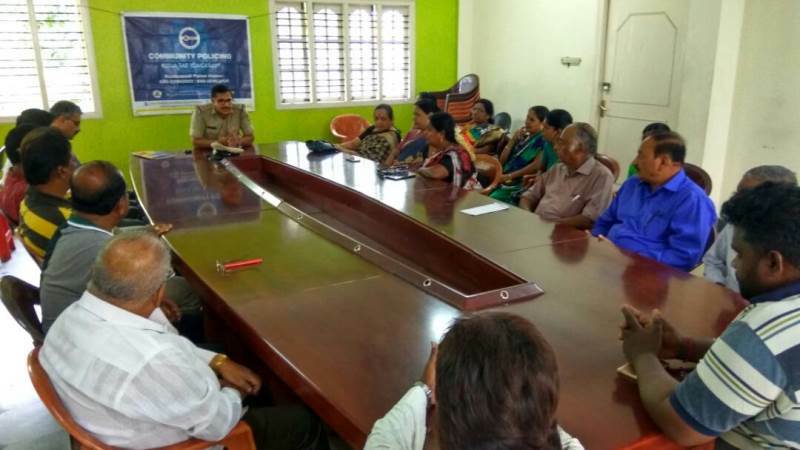 At this time, Janaagraha began to deliberate on, how a deeper connection between the community and the police force could prevent further incidents like these in future. 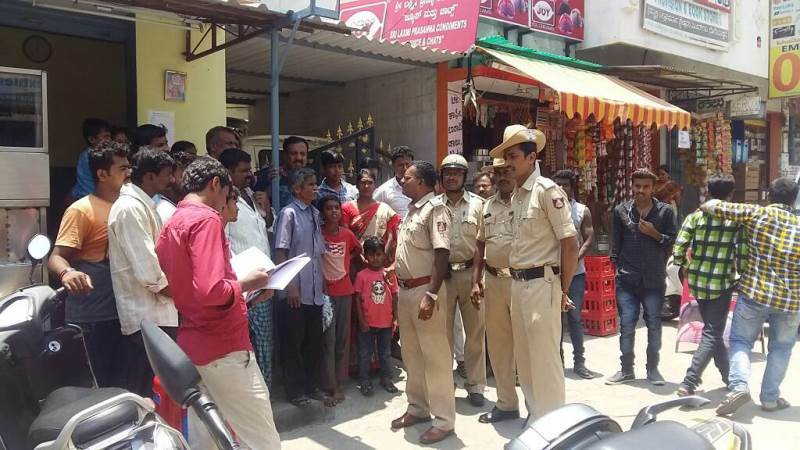 With this background Janaagraha approached the Bengaluru City Police to ascertain, how it could mobilize citizen participation to help improve the safety and security of our neighborhood and thus began the community policing initiative. 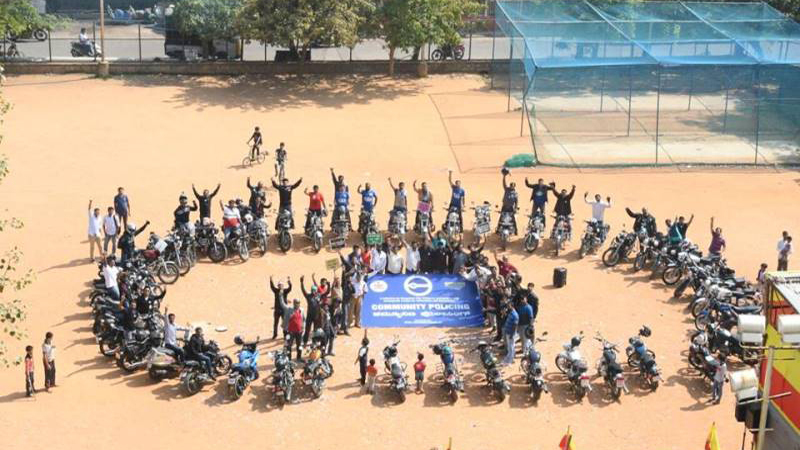 The program was formally launched on 20th Jun 2013 by the then Hon’ble Home Minister of Karnataka, Sh K J George. 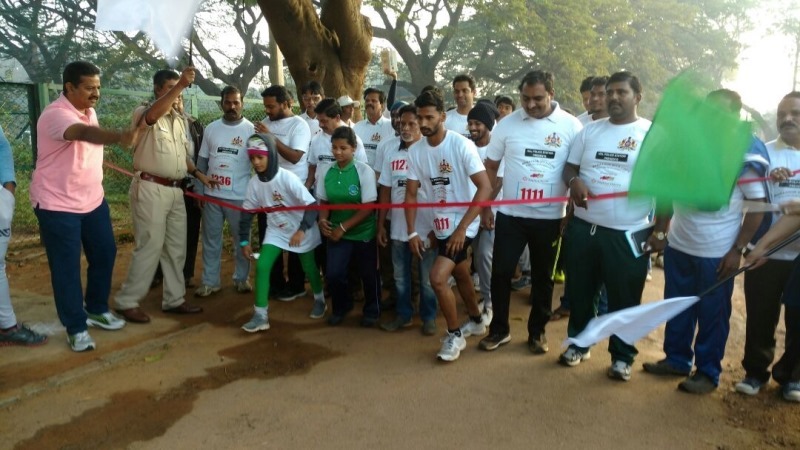 The program was piloted across seven police stations, where one police station was chosen from each police zone/division of Bengaluru city. 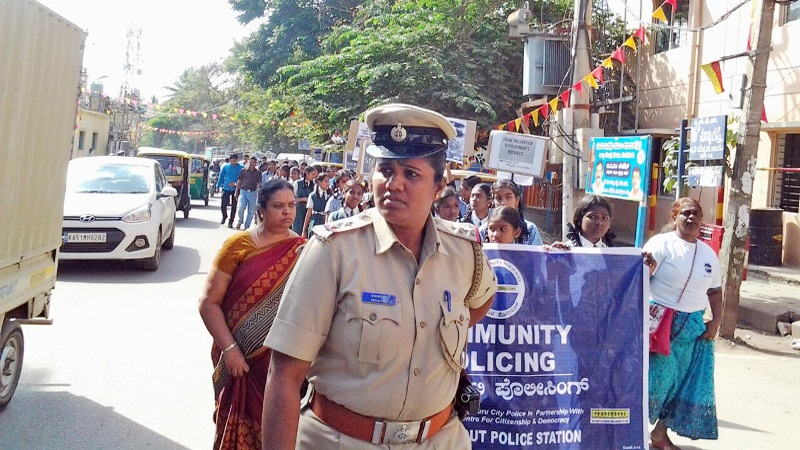 Today community policing is practiced across 20 police stations in Bengaluru city, with the addition of eight police stations in 2015 and five more police stations on-boarded in 2016. The formation of the Community Policing Advisory Group (CPAG) has been critical to the development of the CP program. The CPAG is formed by eminent and respected figures from the policing governance institutions. Their guidance, support, and expertise had created a backbone of solid direction for the CP program. The advisory group consists of Shri PKH Tharakan – former advisor to Governor of Karnataka & Ex DG and IGP, Kerala State, Sh Jacob Punnoose – Ex DG and IGP Kerala State, Dr. S T Ramesh – Ex DG and IGP Karnataka State. 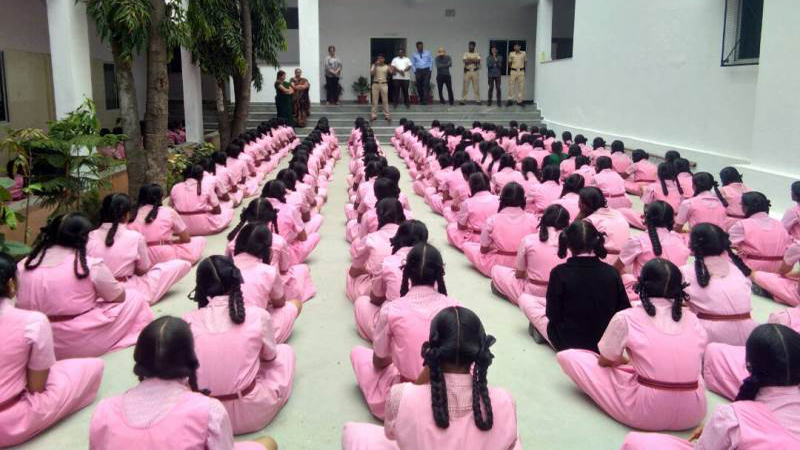 In every police station a ‘Jana Suraksha Samithi’ is formed. 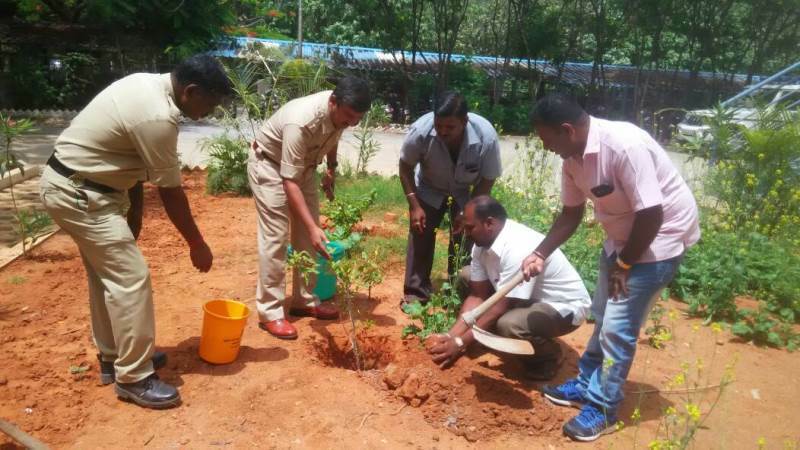 The Area Suraksha Mitras (ASMs – Citizen Volunteers) and the staff of the respective police station constitute Jana Suraksha Samithi. 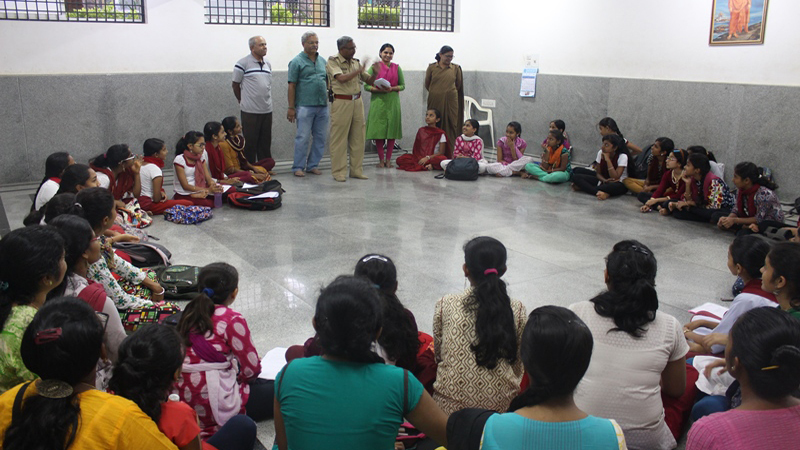 With the help of the beat constables, the Station House Officer suggests the names of persons to be included in the Samithi. The spread of members should be even throughout the Police Station area. DC Debate: Women in battle – Now, or later? The contending mainstream narratives on women in combat in the Army propelled by male and female protagonists lend bias and hues to disparate arguments. 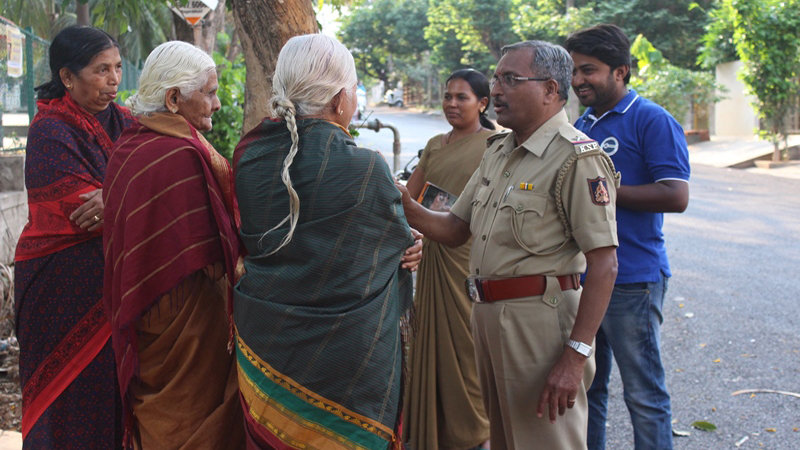 Maintaining law and order is the mainstay of a policeman’s job, but there’s also scope for compassion. 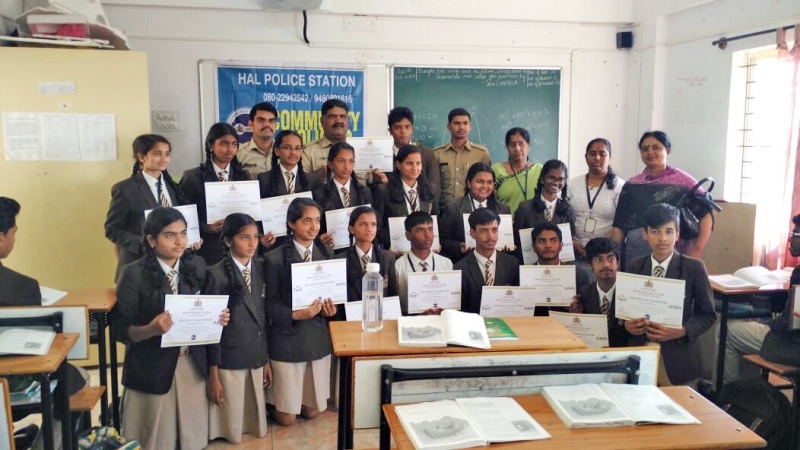 Staff at Rajagopalnagar Police Station are trying to bring the city’s forgotten children — victims of abuse or broken homes — back into the formal education system. Maj Gen K R Prasad, Veteran was commissioned in the Indian Army in the Corps of Signals. He has a distinguished career in the Army spanning over long 40yrs .He has served in many Formations and Establishments across the country in different capacities and has taken part in various military operations during his career. He also had the privilege of working with Late Field Marshall Cariappa. During his career he has held important posts as Dy. Director General and Addl. Director General in Army Head Quarters and was also deputed on critical and important assignments abroad to USA, Israel, and Sweden. His last stint was as Director, Defence Institute of Quality Assurance, from where he superannuated in the year 2010. Being socially conscientious, he joined the social sector and is the Chief Mentor of Janaagraha, an NGO at Bangalore, working with the objective of “Improving the quality of life in urban India”. He actively works towards actualizing the objective of the organization. Deepak has 7 years of experience and holds a diploma in automobiles. He enjoys working in the social sector and is committed to work towards a safer and secure city.